Do not adjust your monitors! This is Ray speaking (If Streetlamp were The Marx Brothers , I would be Harpo)... and I find myself in the unusual position of wresting control of the blog and reluctantly taking centre stage tonight. Why so?... 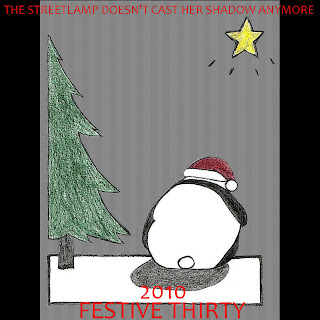 Well, in order to bring some order to proceedings here at Streetlamp HQ and to unveil (drum roll please, Gordon) the inaugural Streetlamp Festive Thirty. It's a simple idea on the face of it; the three Streetlampers - Griff, Gordon and I - get together to have a pleasant trawl through the Streetlamp archive and bring you our combined favourite thirty pieces of music to feature on the Streetlamp this year. It should go without saying that this is hardly a new concept and, quite frankly like most of Gordon and Griff's ideas, is obviously stolen from the late, great John Peel . As in John's famous Festive Fifties of the past, we decided to consider for inclusion all of those songs which have featured on the blog this year, regardless of their date of release. This means that the list is decidedly not a narrow 'Best music of 2010' but should instead be thought of as a 'Best of The Streetlamp 2010'. I hope that makes sense. Once the concept outlined above was agreed, I naturally assumed that it would be a simple matter for the three of us to get together around a lap-top in The Streetlamp drawing room, a well stoked fire crackling merrily in the grate and generous measures of fine port allocated to all. From there, we would soon find ourselves slipping gently into the warm embrace of fine music and convivial companionship. Well, that's how it was supposed to happen. Unfortunately, passions began to run high as Griff and Gordon argued, counter-argued, horse-traded and jockeyed for position, with no end in sight. As unofficial UN observer to proceedings (I have many hats to wear), I can certainly confirm that they're very passionate about the music they love. Eventually, by sheer effort of will, I managed to drink both of them under the table. Upon hearing loud snores and mutterings, I gathered the many crumpled and scored-out lists of songs from all surrounding flat surfaces and succeeded in putting together a Festive Thirty that should please everyone. Well, I hope it does when they sober up. With my thirty songs in place, the next question to resolve was; in what order should they be placed? I knew this would be tricky, as the fiercest debate had raged around the coveted 'Number 1' slot. Just before passing out, Griff was still mumbling something about "The Flats by Mariel McCormack and Marie O Hara", while Gordon from beneath the table could be heard to mutter "If it's not Crass then I'm not playing" equally vehemently. Finally, I decided just to put them in alphabetical order. When Griff and Gordon come to, I can easily disarm them with an "art is not a contest, there's no place for league tables" argument. I suppose I should be grateful that we have Ray here to referee, or we might never have got this posted. It's still awful being forced to exclude some truly wonderful songs and excellent bands from the list though. I'm continuing to mourn the exclusion of Lady Lioness , Luna Moth , The Kat Cosm , The Felt Tips , Madame B , Nicely Dressed ... (Ray: that’s enough, Griff!) from this year’s list. There has been so much great music released from so many talented and friendly people that I could go on and on, but Ray is now standing over me menacingly with an empty port bottle raised above his head, so I'll quickly say thank you and Merry Christmas to you all, and note approvingly that we've at least managed to post a blog without mentioning Proust ! As Marcel Proust once said "All our final decisions are made in a state of mind that is not going to last"; in this case, the state of mind being dulled by port excess. It has been such a pleasure to write about my favourite music this past year that in the cold light of day it doesn't really matter who, or what, has topped our Festive 30; I'm just glad to have contributed to what I feel is a rich and varied seam of music. 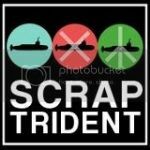 To all the people who have followed our Blog and added their own views and comments, I cannot thank you all enough, so I'll just bow out by wishing you a Merry Christmas and hope that you'll continue with your very kind support. Or as Arthur Rimbaud would say....(WHACK!!!)....Ouch!!!! Griff says; It's the bear who would share. Griff says; Where is the soundtrack?